AND so it begins. 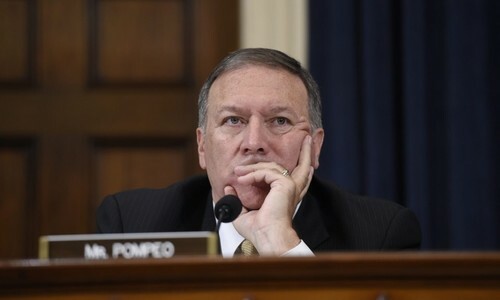 The outlines of the shape of things to come are now appearing before us, starting with US Secretary of State Mike Pompeo’s latest remarks given in an interview that IMF “tax dollars” should not be used to bail out Pakistan’s Chinese lenders. Could the Fund really ask the new government to first obtain the approval of the opposition parties in parliament before any disbursements can begin? Fair enough, but a few questions arise. How come the Planning Commission put out a figure closer to $3bn a year or so ago? 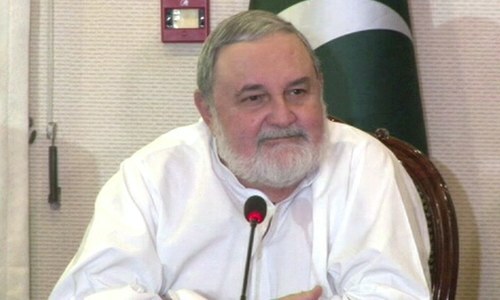 And when the IMF and government authorities discussed the impact of CPEC outflows on the country’s foreign exchange reserves, one of the answers given by Dar’s team was that we can always borrow more from the Chinese, using CPEC as a base (the exchange is briefly described in one of the review documents from the facility signed in 2013). And, while we’re at it, let’s also ask why Pakistan’s external debt service requirements leap to $45bn next year as projected in the Fund’s last post-programme monitoring report (that data is provided to them by the government, so it cannot really be said that the Fund is exaggerating). So the Fund will indeed have a leg to stand on should Pakistan approach them for a bailout (I’m still hedging in case a third option materialises out of thin air at the last minute). And there is a precedent for what Sobel is saying. In 1998, the Fund had asked Pakistan to first reschedule its Eurobonds before expecting any disbursements, under the logic that private lenders to the government should be asked to shoulder some of the burden of bailing it out of its external sector difficulties. Dar was the finance minister then too, and he struggled with fulfilling this requirement, and complained loudly that the Fund was attaching political conditions. Again, there is a precedent. In 1994 when the Moeen Qureshi interim government was negotiating a facility, the Fund required them to first submit written affidavits from the leadership of both major political parties (Nawaz Sharif and Benazir Bhutto) saying they agree to abide by the terms of whatever agreement is negotiated by the interim government. The idea was to broaden the political ownership of the programme, and demanding buy-in from the main political parties was one way to do this. Of course, this time it won’t be an interim government making the approach, but the Fund could still say that lack of political ownership has stymied implementation of past programmes and broader ownership needs to be demonstrated before any disbursements can begin. That would put the PTI government in the position of having to work with the opposition at the very outset of its term. It is still possible that the new government could find a third way forward and none of this will come to pass. A bailout from another source could still come, though at best it will delay the decision by a few months. Bailing out chronic sufferers of external sector deficits is tiresome work, even for the closest of friends. But the first contact that the new government has with global bodies will be a crucial test. Many Indians on this board criticize CPEC investment and it is believed to be an attempt to sabotage Pakistan development. India has a very good domestic industries with competent and economical labour force but still can't compete with cheap Chinese imports. If you do a back of envelope calculation you will realize that Chinese are exporting some of their goods below their cost price. Once the domestic industry is wiped out they will increase the cost and by then the Indian importers will be at their mercy. If you look at CPEC from they perspective it is going to be even worse for Pakistan. Roads and infrastructure built by Pakistan will serve Chinese interests and this anyone with little common sense will know. Politicians elected by the people should work for the people and be transparent about the benefits for Pakistan. The remarks by Pompeo are rather reasonable considering US is the largest contributor to IMF. They have a right to say that IMF funds disbursed to Pakistan that are borne partly by US taxpayers should not be for the financial benefit of a third nation - in this case China. As a lender of last resort for nations on the verge of bankruptcy, IMF funds are meant for structural reforms and stabilizing the finances of those nations, and not to pay back unsustainable debts to another country. Pakistan must find its own means to pay off CPEC debt. It is more China v/s US !! After all that blunders and U-turns in his tenure, do people still trust Miftah Ismail when he says that CPEC debts are not all that large? It is because of geniuses such as Miftah and Dhar that Pakistan finds itself in this embarassing predicament. New government should create a special unit to investigate and prosecute everyone named in Panama Papers and other Wikileaks. Go down the list, regardless of party affiliation, civil, military, whatever. Bring the stolen money home. 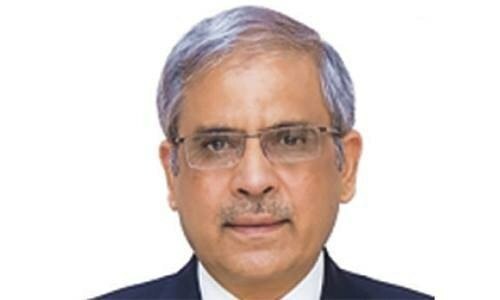 Excellent article by Mr.Khurram Husain who has quite wisely broken down the IMF Issue and its repercussions vis- a-vis CPEC and Chinese Loans.His sound advice via the expertise can very well be appreciated in his last paragraph for the new government of Imran Khan to ponder upon..
You nailed it on its head Husain Sahib, thank you because people need to know the truth. Its not often we read news articles calling a spade a spade but you have very unbiasedly done so and in the fewest words too. Hats off to you sir!!! Stay safe. Excellent article by Mr.Khurram Husain . Other countries can only comments on the economic situation in Pakistan and how it affects them and international financial institutions. Pakistan has to face the consequences of its actions. One can approach IMF for bailout but not force it to bail one out. Excellent analysis . Chinese will only give loans with heavy interest and not aid...so called iron friend etc...only USA and Saudi gives free money I suppose ! IMF will ensure that money given is used for the purpose and secondly any lender will ensure repaying capability. @Ravi Padmanabhan - Very well said. All the figures show capital to be invested but not the projected cash-flow. Pakistan badly needs the money - whether from IMF or any third party lender does not matter. In fact, if IMF conditions are followed it will have much needed fiscal discipline as the projects and cash flow will be vetted by the third party experts. 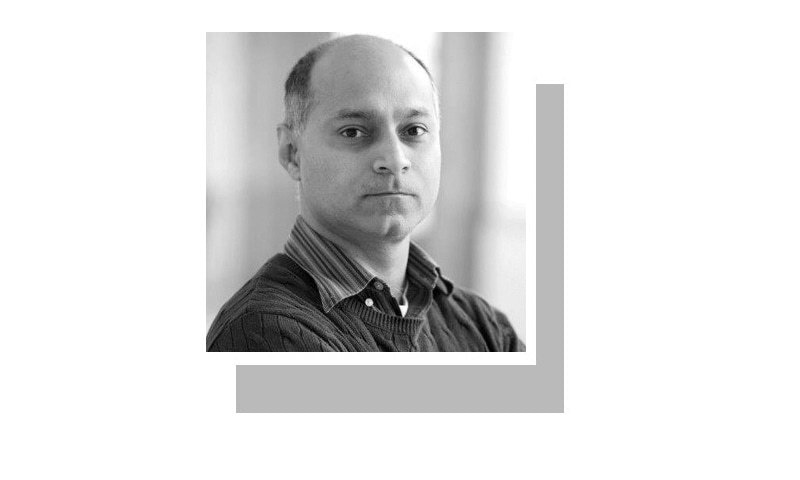 But if Pakistan resorts to the third party lenders, the first thing they will charge a hefty premium for the risk and considering they are the only saviours on the horizon exploit the situation to their best. One only hopes China has not incorporated a secrecy clause in their agreements with Pakistan. China won't allow Pakistan going and disclosing details of CPEC to IMF / USA and won't be able to substitute IMF with their own lending. So it is a tricky situation. Once the projected cash-flow is disclosed, we will know if the CPEC is good or bad for Pakistan. Sir as usual, great write up! Change is in the air to lay bare what was kept hidden from public who had been burdened to payback debts with interest. Newly minted slogan of giving 'tough time' speaks volumes b/c as they say: 'it was, still is all about money'. Difference this time is for whom? State or statesmen? I looked forward to Mr. Khurram Hussain's columns. They are logical and comprehensive. He has been saying for long time about opaque conditions of CPEC. There should be open debate on cost benefit analyses and CPEC impact on local economy. Similar projects in other countries in Asia, Africa and Latin America can provide case studies. CPEC could be a game changer if negotiated correctly with optimization of broader interest of Pakistan. It should be done in open. Going to IMF suggests that conditions of CPEC are not beneficial to Pakistan. Recently the IMF has given $50 billion loan to Argentina. Ministry of Finance should look into the terms and conditions of this loan as a reference. After all what is cpec? It is huge infrastructure created and payback through exaggerated calculation of toll on further exaggerated calculation of flow of goods. Meaningful cash flow will take place only when roads are packed with traffic. I have never seen any infrastructure project ever paid back like this. Because infrastructure projects are inherently designed for community benefit and never for commercial benefits. This is the reason everyone, other than China and Pakistan, are skeptical to the project. Second issue is that with this project, Pakistan have'all their eggs in one basket'. Let us wait and watch. When will you question the 31.7 Billion foreign loans taken by PMLN and out of which 16 Billion from April 17 to April 18???? Is'nt it looting? Money is still the king of this world. Why not take a loan from China for the bailout as well? @JA-Australia Imran khan has his name in the Panama Papers, and so are many of his party colleagues. CPEC has really Changed the Game! But in which direction? It is amazing to find our Indian friends to show their worries about our present and future with the CPEC. Is it possible for them to better leave us to face the consequences of the same ourselves and start worrying about themselves in the coming times. For one thing, they could worry about the Chahbahar port once the Gwadar port becomes fully functional. Where is the income from CPEC. The US is well within its right to advise the IMF that the usage of the funds for Pakistan, if any, will be utilised for productive purpose and not to repay the loans from the Chinese. Those loans will have to be paid by Pakistan on its own from all the Billions of Dollars it will receive from Toll Tax after CPEC. Imran Khan may have tough time. Thanks Khurram sahib, for bringing to the attention a subject that would have escaped the radar of us commoners. CPEC will decimate Pakistan's manufacturing industry. Even if China sets up their manufacturing units they will not hire Pakistanis. Th deal is a venom for us. If people think US is doing this against China, Shouldn't Pakistan then just ask China to help ? Why is Pakistan even considering going to IMF if it thinks China is its saviour ? On the political front, it will be a very tough call for the incoming government. For this first time, the PML N shall be happy to have lost the elections and shifted all the economic decision making burden upon a team of PTI. Its head honcho of the Finance team is no different than Ishaq Dar. It may be good if IK calls a series of coordinated meetings with noted economists including Dr Hafiz Pasha, Dr Ishrat Hussain and Dr Salman Shah. Very good article with good research and conclusion. Liked it. Unfortunately the Rupee stablity will be short lived it seems. @PS Taking loan to pay the loan is called circular loan. Why will Chinese agree? The position advanced by US does not seem to be anti Pakistan in long term. A financially healthy Pakistan does more good to the people of Pakistan than the lenders such as IMF, China and US. The new government should leverage that to do a thorough review of all obligations to China and ask for renegotiation or credits where Sharif signed off in a manner IK would not. Very informative article with an excellent unbiased analysis. Thank you! No the funds are here and it wont take 100 days.Get it back from the looters if they have taken what you claim they have even if it means twisting them,shaking them.